In Plumsville, they enjoy motherly affections of the delicately nurtured. Their misdemeanors are overlooked. Their acts of omission are energetically defended, annoying the officers of the law. If taken into custody, prompt steps are taken through the proper channels to get them extracted. They display unbounded joy and affection to the owners of trousers which happen to be liberally sprinkled with aniseed. Here are some examples of characters of the canine kind we come across while navigating the humorously sun-lit lands of Plumsville. McIntosh is an Aberdeen terrier of weak intellect. 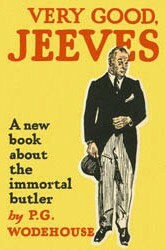 We meet him in one of the stories appearing in ‘Very Good, Jeeves’. He belongs to Aunt Agatha who has left him in Bertie’s charge while she goes off to Aix-les-Bains to take the cure. Bobbie Wickham gives McIntosh off to the kid Blumenfeld who has developed a liking for it. Jeeves comes up with a rescue plan, persuading Bertie to sprinkle his trousers with aniseed which is extensively used in the dog-stealing industry. Bertie visits the hotel suite where McIntosh is holed up. As Bobbie Wickham leaves the suite, McIntosh bounds out, sniffing passionately, drinking Bertie in with every evidence of enjoyment. Bertie returns to his abode with McIntosh in tow. A successful mission thus gets accomplished, saving Bertie from incurring the wrath of Aunt Agatha. To ensure that Bobbie Wickham’s relations with senior Blumenfeld do not get jeopardized, Jeeves buys another look-alike Aberdeen from a shop in Bond Street and hands it over to him. ‘Jeeves in the Offing’ introduces us to the dachshund Poppet who charges at people with the apparent intention of seeing the color of their insides. Closer to destination, though, he merely rises like a rocket and licks people on the chin. The scene under reference gets played out by the side of a lake where the Rev. Aubrey Upjohn, his step-daughter Phyllis, Bobbie Wickham, Wilbert Cream, Kipper and Bertie Wooster have gathered. As per plans, Bertie is to shove Upjohn into the water, followed by Kipper diving in and saving him. This, it is hoped, would improve the chances of Kipper persuading Upjohn to withdraw the libel case he is planning in connection with a derogatory review Kipper has written of an article of his. As luck would have it, Poppet charges abruptly at Augustus, an easy-going cat which has curled up into a ball and resumed his afternoon siesta. Poppet’s plunge – with his tail straight up at right angles to the parent body, ears turned inside out, barking merrily – jolts Augustus no end. In the ensuing scuffle, Poppet lands up in the lake, accompanied by Bertie. Wilbert dives in, seizes the hound by the scruff of the neck, and tows Poppet at a brisk pace to the shore. Kipper’s mission fails. Poppet could as well have got ashore perfectly well under his own steam, but Phyllis believes Wilbert Cream rescued her dachshund from a watery grave. 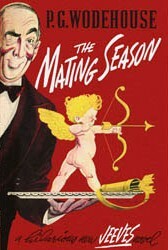 As a result, she announces her engagement to Wilbert Cream. 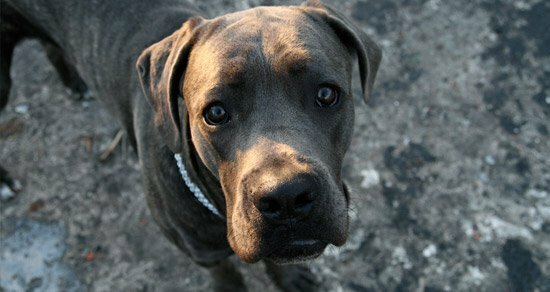 A bull terrier kind dog by the name of Buster comes along in ‘The Girl in Blue’. He is a pet of Marlene Hibbs and ends up biting Constable Simms whose bicycle is used by Chippendale to impart driving lessons to Marlene. When she points out that every dog is allowed a first bite by law, Simms says that if this were to happen again, he would prosecute it with the utmost severity. Chippendale finds her in tears near the village pump and has to stand her a strawberry ice cream before he can bring the roses back to her cheeks. By way of a protest against his high-handedness, Chippendale eventually gets Simms pushed into a river, with the latter’s body as well as ego getting soaked to the gills. 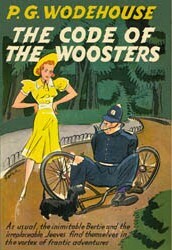 In ‘The Code of the Woosters’, we come across Bartholomew, a pet of Stiffy’s. An Aberdeen terrier, he is to be watched closely if he gets near anyone’s ankles, “for he biteth like a serpent and stingeth like an adder”. In the scene under reference, we find him all whiskers and eyebrows, silently and earnestly following Constable Oates who is quietly enjoying a bicycle ride with his hands off the handle. A mere connect with the ankle bone and the officer of the law falls into a ditch. Stiffy, true to form, defends Bartholomew. By way of revenge, she starts making plans to get Oates’ helmet pinched. 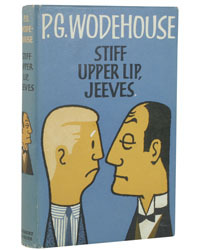 Bartholomew also puts in an appearance in ‘Stiff Upper Lip, Jeeves’. 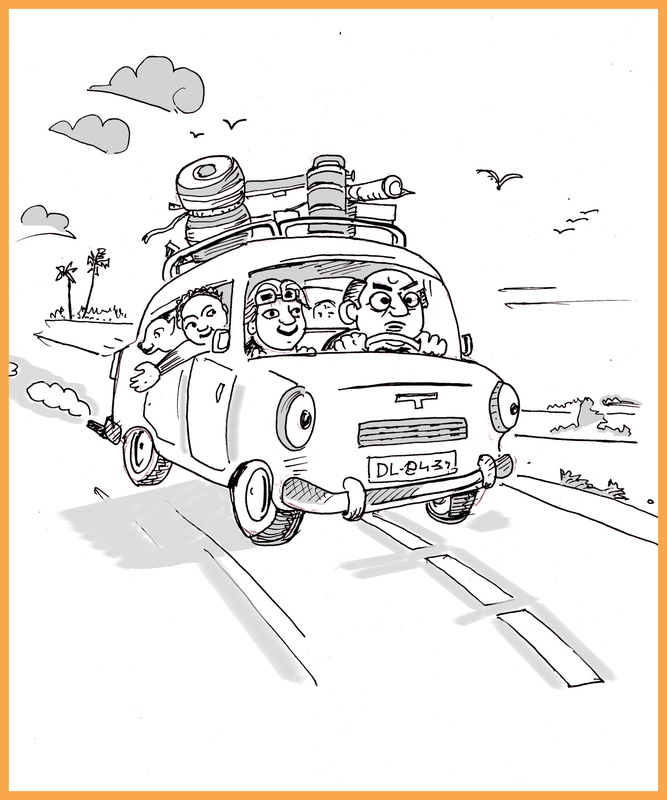 He drives Bertie and Pop Bassett to the top of a large chest of drawers. Bertie finds himself gazing into the eyes of the animal, which looks at him with a sinister intentness characteristic of the breed. Bartholomew also bares his teeth which happen to be in excellent shape, thereby reminding Bertie of his tendency to bite first and ask questions afterwards. Since Scotties have short legs, a series of energetic springs do not yield any constructive result. Poor Bartholomew has to remain content merely with dirty looks and sharp, passionate barks. Eventually, Stiffy walks in and removes him from the scene, providing much-needed succor to Bertie and Pop Bassett. In ‘The Adventures of Sally’, a poodle of military aspect wanders up to Sally at a French seaside resort. Discovering that Sally is in possession of a box of sweets, the poodle decides to stick around and await developments. Soon, a white terrier with a black patch on its left eye also joins in. A little later, a group of expectant dogs assembles. This is followed by an intense dog fight which scares off Sally. However, Ginger does decide to interfere. 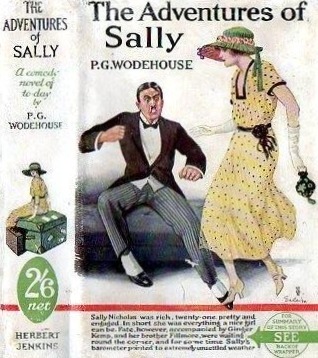 He does so successfully, much to the relief of Sally. Later in the narrative, we meet Toto, a small woolly animal with a persistent and penetrating yap. Toto likes a cracker after breakfast. Judicious dieting indeed perks him up. He goes on to play an important role in the lives of Sally and Ginger. 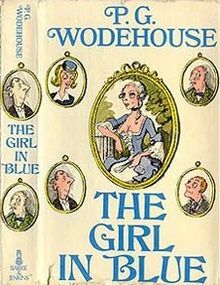 When it comes to etching out characters, P G Wodehouse is an acknowledged genius. His expertise in this realm is not restricted to human beings alone. It covers pigs, cats, swans and dogs as well. ‘St. Bernard dogs doing the square thing by Alpine travelers’ is another expression which finds frequent mention in his narratives! The adrenalin, the morning rush, the smug comfort of power and pelf. The welcoming smiles, the handshakes, the feigned grace. Naysayers and villains who oppose us and spice up the proceedings. Peers who keep us connected to the corporate gossip and the grapevine. The fun of pulling them up when they show up after a furlough. The water cooler parley, intimate chats over endless cups of tea. Liberty from kids’ PTA meetings, household chores and many an odd grouse. Sulking family members, cancellation costs, well laid out plans turning sour. Ensuring the world does not collapse while we are away snorkeling. A habit, an addiction, a magnified view of our role which could be faulty. Unwarranted blames having come our way, we resolve never to plan a vacation forthwith. Quality time with the family, regaling kids with impromptu tales. Or else we could be languishing in the low-performance-and-low-reward hell. A gym, a yoga and meditation room, an allowance for post-lunch power naps. Our performance at its peak, productivity high, imagination always fragrant. Incoming mails diverted, deleted from our in-box, allowing us to have real fun. 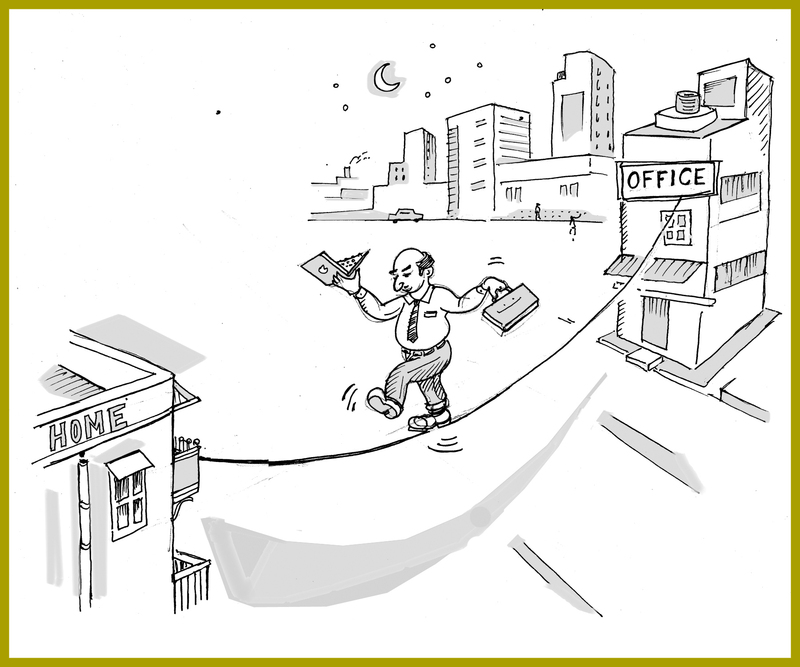 Enabling a healthier work-life balance, assigning projects which make us walk out of our ivory towers. When it comes to writing, we are not too bad. Words help us to keep ourselves connected with the world around us. Our inner joys, sorrows, trials, triumphs take the shape of blogs which we keep posting at regular intervals. We can’t help ourselves but write. In other words, we are a bunch of declared Blogaholics. We have no intentions of getting rid of this addiction. And we do not wish to remain anonymous! Writing is like an internal cleaning process for us. Some of us use it to unburden the soul; some others for spreading cheer. Some of us are here to promote our books, whether present, upcoming or still in the realm of our pious intentions. Some of us are here to make money. Quite a few of us are here simply to educate, entertain and amuse. We have good days and we have bad days. Often, we are disappointed. A post which we thought was very clever and had the potential to go viral sinks without a trace. 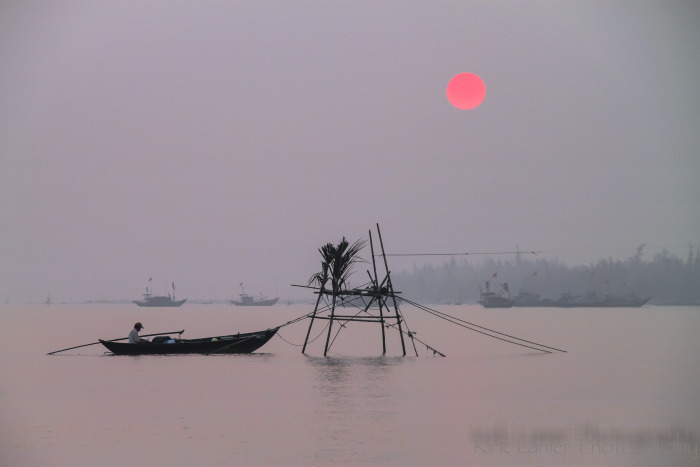 Once in a while, a surfer comes across our island of thoughts in the Blogging Ocean and finds it of immense interest. We find a sudden spurt in our views. We gain a follower. We crave publicity. We crave recognition. We find it hard to come by. We twiddle our thumbs wondering what we are doing wrong. We dread becoming a member of the Blogaholics Anonymous, drifting along aimlessly in a global ocean of ideas, words and sentences, with no shimmering sand of popular recognition in sight. What can we do to avoid becoming a member of the Blogaholics Anonymous? With all humility at my command, allow me to share with you what I have learnt so far. It helps to keep an eye on our blog statistics. Which topics have we written about that are the most popular? Can we be more vocal on these topics? Can we bring in our personal experience in these areas which could be shared in further detail? Is there a pattern we notice, related to, say, the day of our having hit the ‘publish’ button? Does it help to increase the frequency of our posts? May be, making them shorter and crisper instead of long winding ones? How can we leverage this insight to make our blog site scale greater heights in the days to come? WordPress has an excellent feedback mechanism. Perhaps some of us can use it better. What are our followers saying? What are they writing about? Reading up others’ blogs, related articles and books helps us to narrow the bandwidth of our outpourings. Blabbering about whatever appears on the mental horizon without adequate back up research often does us in. It is all about interactions with live people with similar hopes and aspirations. If we respect them by reacting to their ideas, they would return the favour. Why are we into blogging? Do we have a long term goal? If so, do we have a plan to work upon? This is quite relevant for those who are here with either a promotional or a commercial goal. If we are here to have fun, we can afford the luxury of going with the flow. Our blog site then sounds and smells like a fresh bouquet. Yes, if there are roses tucked in there of a primary area of our expertise, the aroma is even more invigorating. Our followers broadly know what to expect from us, but could get pleasant surprises once in a while! 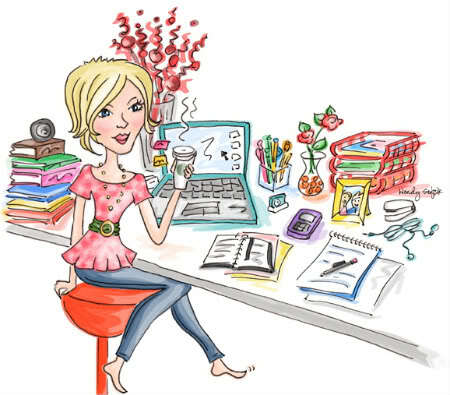 Thinking of giving up the blogging sprint midway? No way! One, our self-respect will take a blow. Our absence will never get noticed by others. Only our continued presence will make us a long term gymnast. We have the democratic right to rant. But before making that a habit, we need to think. Could our carbon emissions be someone else’s oxygen? They may empathize and they may relate to it for some time. But they could soon melt away. Some of us do go a step further and touch upon a sensitive subject. By deliberately courting controversy, we may gain higher circulation for some time. Whether it would last in the long run would depend on three things – the inherent merit in the argument, our own conviction in the matter and our ability to keep our followers’ interest alive and ticking. Do we prefer to have a multitude of faceless followers? Or, would we be happy instead to have a few regular ones who would be like a well-knit group of friends traveling along with us? This is an individual choice that we make. Our followers would typically fall in three brackets – casual, serious and passionate. Casual ones would not mind hearing from us three times in a day. Serious ones would be looking for a deeper meaning in our posts. The passionate ones would themselves be subject experts – they would expect range as well as depth in our posts. Just like in life, we can’t please them all. In any case, all of them are here either to learn something new, or to relish a chuckle or two, or to get entertained. If we work on providing a fresh perspective to the subject we excel in, or keep touching on areas which concern them, their tribe would only multiply. I guess we are smart enough and have already figured this out. But I believe what is worth communicating is surely worth over-communicating! If I were to sum up in three simple words the traits a blogger must have, I would say: Commitment, Curiosity and Content. This does not claim to be an exhaustive list of what can be done. In order to make our blogging voyage more pleasurable, you may like to add few more points which I might have overlooked. Here is yet another enlightening post from the Plumtopia stable. Enjoy! 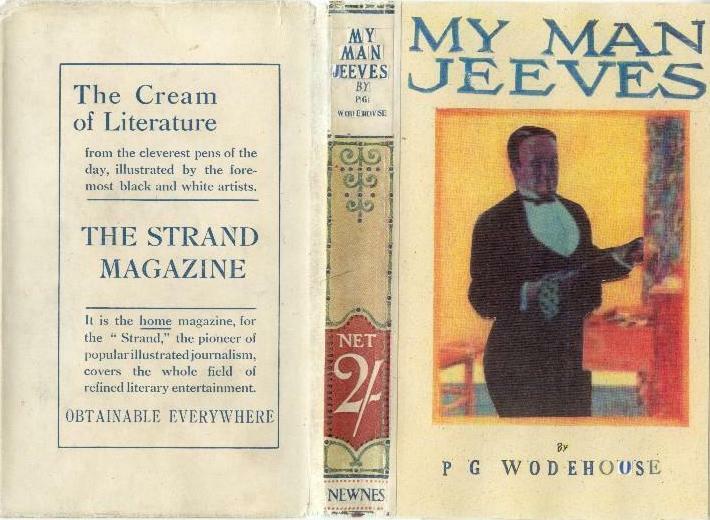 New Wodehouse readers sometimes ask which of the Jeeves stories they should read first. 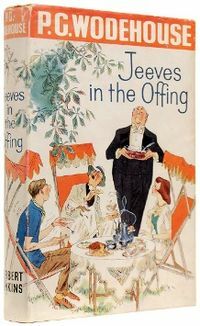 Opinion on the matter seems to be divided into two camps; many people recommend ‘Carry On, Jeeves’, whereas I usually suggest ‘The Inimitable Jeeves’ (1923). Both are excellent. The difficulty is a matter of chronology. Today’s writers and publishers make it easy for readers to progress from ‘book one’ of a series in a logical and predictable manner, through its various instalments, to the series conclusion. Many modern series are well planned in advance. Others feature recurring characters in separate stories (crime fiction leaps to mind) which can be read in any order, although the chronologically-inclined reader can read them in order of publication to avoid ‘spoilers’. And modern readers are so accustomed to ‘the novel’ that it’s the only form of fiction most of us ever read. Mirror Mirror on the Wall, Who is the Smartest of Them All? Ever imagined living in a fairy land where all those you happen to know are smart, living their lives to the hilt? They could be visiting exotic locales, celebrating career achievements and other events in their lives, or simply having a blast. The sun is always shining, the flowers are forever in bloom, the birds are incessantly twittering and the bees are invariably busy collecting nourishment from delicate flowers. In other words, God is always in heaven and all is well with the world. In this land, the sky is never overcast. The harsh arrows and slings of life simply do not exist. No one ever falls sick. A business loss or a career setback never appears on the horizon. There are no villains around. Parents find that kids throw no tantrums. All denizens behave in an exemplary fashion. Everybody likes everybody else. Spirits are all buoyed up, what with people making positive comments only. Yes, I am talking about our social networking platforms. It is mostly about ‘I’, ‘me’ and ‘mine’. 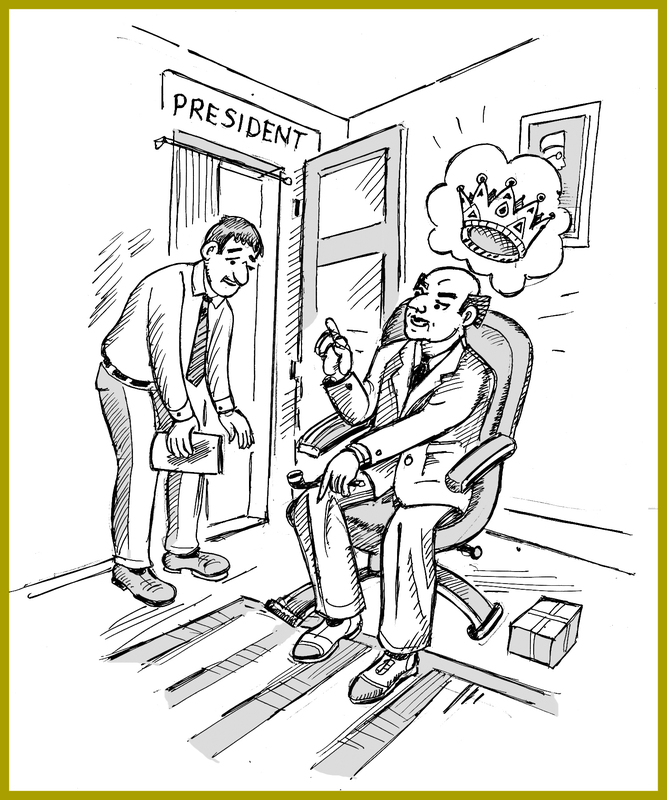 Face Book, LinkedIn, Instagram, Four Square – all showcase the ultimate in the art of narcissism. We upload all the positive happenings in our lives. We wish to announce to the world that we have finally arrived. When it comes to playing the game called life, we are smart. Only our accomplishments get announced to the netizens. We want everyone to know what a great time we are having. Intimate feelings which we feel shy to convey either face to face or over phone we pour out to those in our network. Just-married couples exchange love messages over it. Fathers have a purely personal discussion with their sons on such platforms. Why does this happen? Why do we choose to live in a fish bowl? 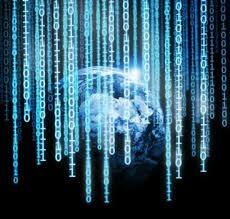 Have we all become addicts to a virtual bliss which shuts out the real world? Why is it that before we reach out to our morning cup of tea we prefer to browse through our smart phone or laptop, just to check how many ‘likes’ and ‘comments’ we have received on what we posted last? Our mood fluctuates much like the Dow Jones index, depending upon the sheer volume and quality of response our posts generate. Walking to catch the metro, or talking to a colleague, we make a virtue out of checking the status on such platforms at regular intervals. Perhaps, the answer lies in our need to seek wider approval for our actions. Or, we find ourselves so lonely that we are desperate to connect with someone out there. If so, perhaps the loneliness arises out of our increasing sense of isolation in the society. Possibly, we like only ourselves. Movies, television and other forms of entertainment offer us a willing suspension of belief. With social networking, we have found a better means of achieving this state of transient bliss. We wish the world to know only what we believe it should know about us. Anything negative happening to us we would like to sweep it below the carpet. It is like an extended dating trip in life, where we project our best at all times. We have to be presentable at all times. We also have to be politically and socially correct all the times. Our ugliness, warts and all, need not be shared with those who form our universe of ‘friends’. It is not my case that social networking is utterly useless. It is helpful in so many ways. It helps us to discover and remain connected to distant friends and relatives. 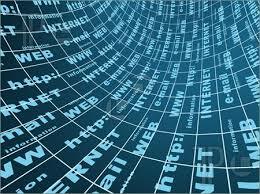 But there are limitations as to how we have chosen to use these powerful tools. Nor am I trying to say that details which could jeopardize our career prospects or hurt someone else need to be shared. If a medical emergency gets posted online, instant help could follow. If an assignment is getting too hot to handle, advice could come in from distant quarters. In the long run, our not-so-glamorous side could also become a part of our public profile. The fact that we can seek help openly would show us to be professionals who are humble and willing to learn. The caring and sharing part of our personality would also emerge. In blogsville, we do find people sharing their traumatic experiences, but not so on social networking sites. Don’t you think it is high time we thought of developing a protocol which would be like, say, ‘Truth and Dare’ on such sites? Those who join this group would undertake to be truthful to each other about what is happening in their lives. Afraid of losing friends and assignments this way? Fret not. Only those who like you and your work genuinely would get in touch. Others would fall by the wayside over a period of time. You would be left behind with a shorter list of ‘friends’ who would prove to be more loyal in the long run. Are you game? Would you like to give a more balanced spin to your online profile? What do you think of being part of a group which could be christened as SPIN – the Society for Prevention of Internet Narcissism? Would you prefer to be counted as the smartest one?! Disrobe them mentally while entertaining lascivious thoughts. Or to perform household tasks which are sheer drudgery. But you are no match to their inner reservoirs of deep quiet strength. Scaled great heights in all fields of human endeavour. Can kill cockroaches and lift gas cylinders. Keeping your home, hearth and family working in harmony. Nor does she need your shoulder to cry upon. 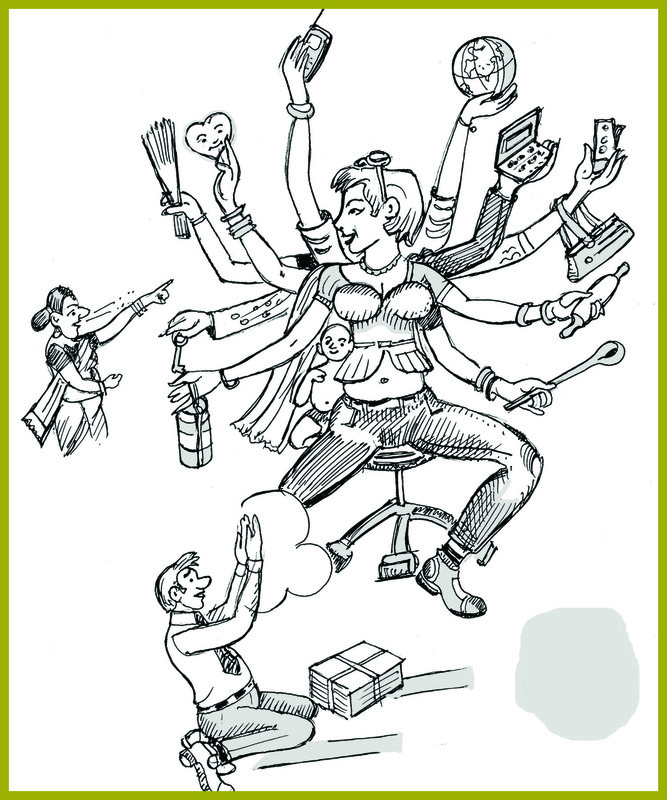 She can strike a better healthy work-life balance. She can shatter glass ceilings all by herself. She can refuse to be intimated, bullied or silenced. And her daughters to respect themselves. Work where she wants, shop where she wants. But that fleeting pleasure could ruin your life forever. She is quite capable of empowering herself.